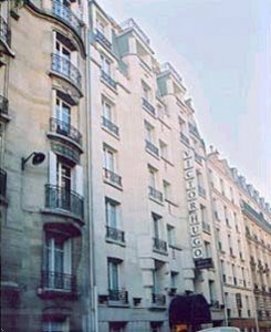 In a beautiful Parisian style building, located between Etoile and Trocadero, the Best Western Hotel Victor Hugo has the elegance and charm of a French residence. Experience our nicest rooms with balconies where you can admire the Bassins and roofs of Paris. Discover the novels by Victor Hugo in the bookcase in the bar and enjoy your breakfast in the inner garden. We are a just a 300 meters from Arc de Triomphe and short distance of 500 meters from the Eiffel Tower and Champs Elys?es. Notre Dame Cathedral is just three kilometers from our hotel.